Karen Gager, MSW, LICSW. has a master’s degree in Clinical Social Work from Boston University School of Social Work. She has worked in the fields of social services and education for over twenty years. In addition, she has been a Field Instructor for various Schools of Social Work in RI and MA. Karen was awarded a Women of Achievement Award in Program Development for “Improving the Lives of Children & Youth” by the YWCA of Rhode Island in 2007. Matthew Kelly, Esq. is currently a lawyer with Ratcliffe, Harten & Galamaga, LLP. He earned a B.A. from Marist College in 1996 and obtained a J.D. from the Villanova University School of Law in 1999. He is admitted to practice in Rhode Island and the U.S. District Court for the District of Rhode Island. Mr. Kelly is a member of the Rhode Island Bar Association, the Defense Research Institute (DRI) and the Defense Counsel of Rhode Island (DCRI). He has presented numerous writings and lectures on topics related to his practice to doctors, nurses and hospitals. Lisa Carter, MD, MPH. received her undergraduate degree, medical degree, and Master’s of Public Health at University of North Carolina at Chapel Hill. Lisa works at the Family Health Center of Worcester, a busy community health center that serves an ethnically diverse, low-income, urban population. She has been greatly inspired by the work of the Collaborative. Cyndy Brown is a Development Director for Precious Project, an international development nonprofit working in Tanzania. She has 20 years of experience in nonprofit development, specializing in Major and Planned Gifts. Formerly, she has served as Director of Development at United Methodist ElderCare as well as raised major gifts during Wheaton College’s most recent capital campaign to build a LEED-certified science center and fund scholarships. Cyndy attended the University of Rochester, graduating with a Bachelor of Arts, English and Psychology. 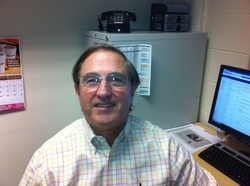 Dr. Anthony Fruzzetti, Ed. D. is currently in his 19th year as a full time member of the faculty in the College of Business’ Marketing Department at Johnson and Wales University. He is a longtime active member of the Board of Directors of the New England Marketing Research Association. He is a graduate of Suffolk University in Boston, MA (MBA), and Johnson & Wales University (Ed.D.). Audria Jennings holds a B.S. and a M.Ed. in Rehabilitation Counseling from Pennsylvania State University. She has worked in mental health group homes and rehabilitation programs including as Program Director at UCAP and FHR (Fellowship Health Resources). She is currently on the founding committee for Providence Cohousing. Bill Jennings is a graduate of Princeton University and Pennsylvania State University. He has thirty one years in banking beginning at RI Hospital Trust, ending in 2003 at Fleet Bank, then joining Newman Dignan & Sheerar, an Investment Advisory firm. Bill is currently on the board of UCAP School and The Greater Providence YMCA. He is also the 134 Collaborative board liaison to Mathewson Street Church. Reverend John Jones, also known as Pastor Jack, has been the volunteer developer and co-coordinator of the Mathewson Street Sunday Morning Prayer Breakfast. He has been an ordained minister for 21 years following receiving his Master of Divinity degree from Boston University School of Theology where he concentrated on pastoral care and counseling. He has served in ministry in several local churches in RI in addition to campus ministry and hospice care ministry. Constance Quinn currently works at Blue Cross Blue Shield of Rhode Island. She recently graduated from Providence College with a B.S. in Health Policy and Management. Previously, she served as a fundraising ambassador for United Way of Rhode Island and is excited to continue working with the downtown Providence population through 134 collaborative. Laura Faulkner served on the Board of Directors of 134 Collaborative between November 2011 and May 2013. She is currently a Community Engagement Manager at Opportunity@Work, a nonprofit enterprise with a mission to create access to career opportunities so that all Americans can work, earn, and learn to their full potential. Laura supports the TechHire network of communities across the country in their efforts to expand access to tech jobs and increase equity in hiring practices. Laura holds a BA in Political Science and MPA from Clark University. She currently lives outside of Washington, D.C with her husband and beloved rescue dog. 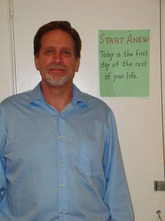 Peter T. Hahn is currently a member of the Faculty of the Gabelli School of Business at Roger Williams University. Previously, Peter served in various senior management positions at the President and CEO level in the pharmaceutical, medical device and medical software industries. In addition to his teaching, he has organized and directed numerous RWU student project teams focused on social enterprise strategy, planning and finance with Social Enterprise Greenhouse (SEG) entrepreneurs. He has been an adviser to the 134 Collaborative Executive Director and Board of Directors through his role as SEG Mentor. He holds an MBA and doctorate from Columbia University. Keith W. L. Rafal, MD, MPH is currently the Medical Director of the Rehabilitation Hospital of Rhode Island. He has extensive experience in rehabilitation medicine previously at Memorial Hospital in Pawtucket, RI. In addition to his position at RHRI, he is the President & Founder of Healing Choices, PC in North Smithfield and an Assistant Clinical Professor in the Department of Family & Community Medicine at Brown University School of Medicine. Dr. Rafal received his MD from Howard Medical School and MPH from Tufts University.